Publication is an essential element of any defamation claim. It exists when a communication is made to a third party (i.e., someone other than the person defamed, and other than the person making the statement). This is because the essence of libel and slander is the diminution of one’s reputation in the eyes of others. A false accusation made privately to you may be insulting, but it wouldn’t be defamatory because a statement not heard by others would not affect your reputation. But what if the false accusation is made in a setting that isn’t so private—a courtroom, for example? Could a devious tortfeasor avoid defamation liability by addressing his comments only to the plaintiff despite speaking loudly enough that third persons are likely to hear the statements? Workplace defamation actions face a number of obstacles. The one that probably comes up the most is the issue of qualified privilege. Employees often claim that a manager or supervisor defamed them in the course of a termination or negative performance evaluation. These statements are usually protected from defamation claims, as a limited privilege applies to communications made on any subject matter in which the person communicating has an interest, or with reference to which he has a duty, if made to another person having a corresponding interest or duty. In other words, in situations where it is necessary or expected that one employee will make statements concerning the performance of another (such as a performance evaluation), a qualified privilege will apply. Another defense that is sometimes raised in the employment context is that of “intra-corporate immunity.” This is a defense borrowed from the law of conspiracy. Because a conspiracy, by definition, requires at least two legally distinct persons, and because two employees acting within the scope of their employment duties are both acting as agents of their employer, a conspiracy cannot be formed between those two employees due to the unity of interest and absence of a second entity. “A corporation cannot conspire with itself,” is the oft-used way of describing the reasoning behind the doctrine. Earlier this month, the Virginia Supreme Court affirmed the decision of the Williamsburg Circuit Court to uphold a jury verdict against former circuit court judge Verbena Askew in the amount of $350,000 for defamation. Askew had made a comment to The Daily Press that plaintiff Brenda Collins, who had worked in the court over which then-judge Askew presided, “was institutionalized – that’s the only way you qualify for family leave.” The Daily Press did not actually publish the statement, but the Court found that the defamation occurred when the statement was made to the press. A private individual claiming defamation must prove by a preponderance of the evidence (1) that the defamatory publication is false and (2) that the defendant “either knew it to be false, or believing it to be true, lacked reasonable grounds for such belief or acted negligently in failing to ascertain the facts on which the publication was based.” If the publication amounts to defamation per se, such as defamatory statements that impute an unfitness to perform official duties, the plaintiff is presumptively entitled to compensatory damages. Askew first argued that she should not have to pay damages because her statement about Collins was never published by The Daily Press and thus did not proximately cause any injury to Collins. 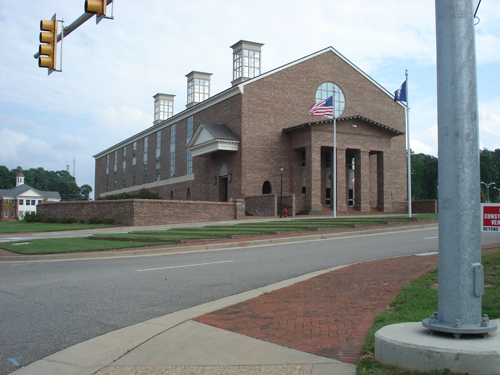 The Virginia Supreme Court rejected this argument, holding that the evidence supported the jury’s finding that Askew made a defamatory statement to the press either knowing it was false or negligently failing to ascertain the facts. Because the jury found the statement amounted to per se defamation, it was entitled to presume that Collins suffered damages as a result, regardless of whether The Daily Press republished the statement. Statements made by litigants and their attorneys in judicial proceedings cannot form the basis for a defamation action because they are protected by an absolute privilege. But what if an attorney, desirous of increased media exposure, takes copies of what might otherwise be considered slanderous statements and forwards them to the media? Do statements made in judicial proceedings lose their privileged status when republished to third parties? The answer, according to Norfolk judge Charles E. Poston, is that it depends on whether the attorney acted with malice. In D’Alfio v. Theuer, a sea captain sued a lawyer who had filed at least one lawsuit against him on behalf of a client claiming employment discrimination. The lawsuit, the sea captain contended, contained numerous false and defamatory allegations, such as that the captain had ordered a seaman on his ship to be handcuffed in retaliation for speaking to a newspaper reporter and that he had threatened to put him in a straightjacket. What the captain found particularly troublesome, however, was that the seaman’s lawyer faxed a copy of the lawsuit to the media. He sued the lawyer for defamation. The lawyer filed a “demurrer” (essentially a motion to dismiss the complaint) on the ground that the allegedly defamatory statements were protected by absolute or qualified privilege. Judge Poston overruled the demurrer and permitted the lawsuit to proceed. The tort of defamation is widely misunderstood. Social media outlets like Facebook, LinkedIn and Twitter, which allow easy publication and dissemination of information to a wide audience, are leading to a rise in defamation lawsuits in Virginia and around the country. To be insulted by another, especially when it happens in a public forum, can be hurtful and embarrassing. Whether the insult constitutes actionable defamation under Virginia law, however, or whether it is sufficient to satisfy Virginia’s “insulting words” statute, can present some complicated issues, often implicating the United States Constitution. Relevant considerations for any lawyer examining a defamation claim include the type and context of the speech, the identity of the speaker, the identity of the plaintiff, and the existence of qualified immunity or other defenses. In Virginia, defamation includes both libel (written defamation) and slander (spoken defamation). There is no need for clever mnemonic devices to distinguish libel from slander, because Virginia law makes no meaningful distinction between the two and speaks only of the merged tort of defamation. The essence of any defamation claim is that a defendant published a false factual statement that concerns and harms the plaintiff or the plaintiff’s reputation. While it is common to recite that “truth is a defense,” that is not technically true, as falsity is a required element of the plaintiff’s proof. Proof of several elements is required. The defendant must know that the statement was false or must have lacked a reasonable basis for believing it to be true. Defamatory words that cause prejudice to a person in her profession are actionable as defamation “per se,” meaning that it is not necessary to prove actual injury to reputation. Expressions of opinion, however, are constitutionally protected as free speech. Therefore, mere statements of opinion cannot form the basis of a defamation lawsuit. Most Virginia employers these days are careful to avoid using defamatory language when terminating employees. They know that defamation actions (i.e., lawsuits alleging libel and/or slander) are best avoided by responding to inquiries from other employers by identifying an ex-employee’s dates of employment and position held, but little else. Although “truth is a defense” (statements about an employee will not be defamatory if they are true) and an employer usually has a qualified privilege to make statements that arise out of an employment relationship, no employer wants to get sued by a disgruntled ex-employee and employment lawyers are constantly thinking up new theories of employer liability. One recent theory that has gained a following in certain states is based on the so-called “compelled self-publication” doctrine. Virginia, however, is not one of those states, according to a memorandum opinion issued on May 6, 2009, by a federal court sitting in Richmond. Here’s how the theory works. First, to bring a claim for defamation in Virginia as well as in most other states, a plaintiff must allege not only a defamatory statement made with the requisite intent, but that the statement was “published” (i.e., made) by the defendant to a third party. The idea behind “compelled self-publication” is that even if a careful employer does not publish the reasons for an employee’s termination to a third party, merely having a false, pretextual justification for the termination in the employee’s personnel file should make the employer liable for defamation because it somehow compels the discharged employee to tell prospective employers the reasons he or she was fired.